Around 08:00 we’re all checked in and our luggage is taken care of. By taken care of I mean weighed, tagged and put in a trolley out on the tarmac outside of the terminal building. Since this also include our camera bags, we decide to have some coffee and tea in the café that has a nice view of our stuff. Both Safarilink and Air Kenya have a 15kg total baggage limit pr person, so if you’re travelling with any heavy camera gear, you really need to consider booking a “baggage seat” which will increase your allowed limit by another ~75kg. About a quarter past 9 we took off our in the Air Kenya Cessna Caravan 208b (same model that I’ve previously flown with through Safarilink and Yellow Wings). There was really no noticable difference between the airlines, except for one thing. It might seem like a silly thing, but as a European in east Africa you really need to make sure you’re drinking water all the time. It’s not a big problem, since there’s water bottles provided everywhere, but the airlines seem to have different practices. While Safarilink make sure there’s always a bottle tucked in the seat pocket in front of you, Air Kenya pilots announced there were water bottles in the back of the plane. After you had made your way through the narrow corridor and seated yourself in front… You don’t really want to make your way back there once the plane is taxiing to the runway. 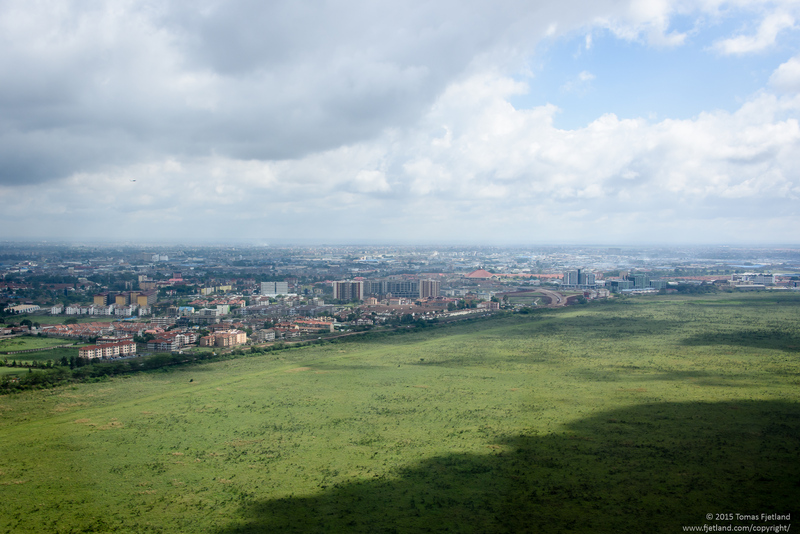 Seen from a plane taking off from Wilson airport, Nairobi National Park and the thick of Nairobi city is separated by a fence. Taking off from Wilson has always fascinated me. 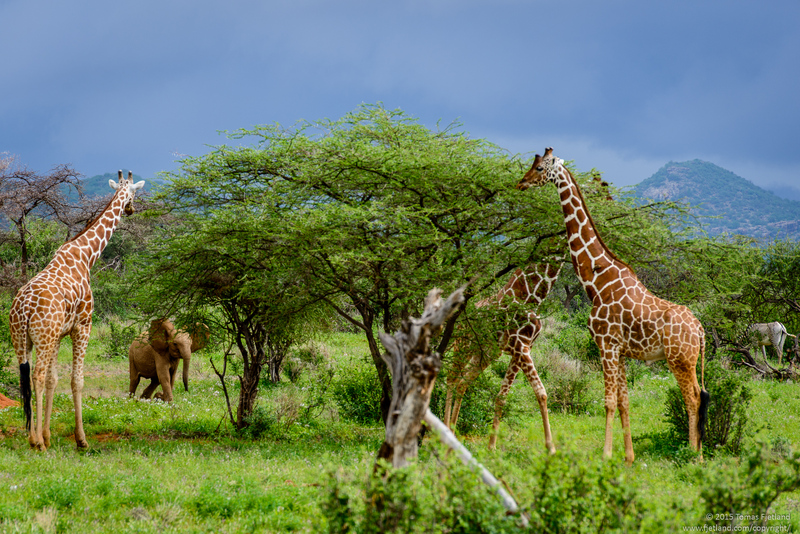 The airport is located at the very border between the actual city of Nairobi, and the wilderness of Nairobi National Park. As your plane takes off you can see this incredibly sharp division between two different worlds. I wish I could imagine this happening somewhere like in Norway – putting a fence right next to the Opera house in Oslo and say “on the other side of this fence we’re going to let wolves and bears roam free”. Yeah, right. But we sure are good at telling Africa how to run their conservation and not to let herders kill predators in defense of their livestock. 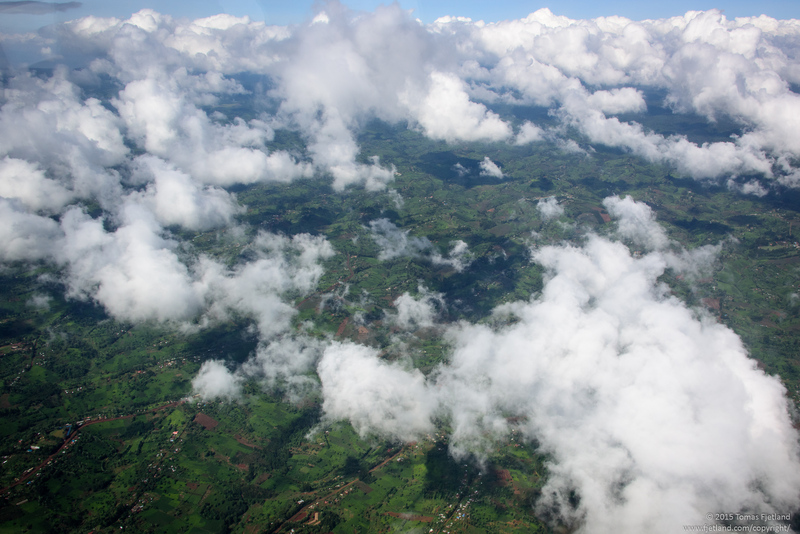 The plane trip goes northeast from Nairobi, making a single stop at Lewa, a sanctuary for rhinos. As we approach Samburu the view below us changes drastically. 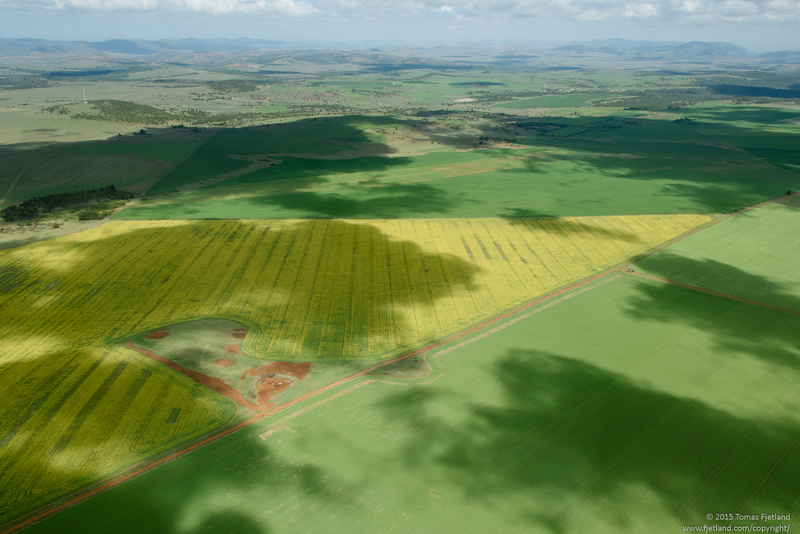 No more fertile farmlands, but all the more reddish sand and low acacia and shrubbery vegetation. Also, the landscape gets somewhat less flat and scattered with hills. 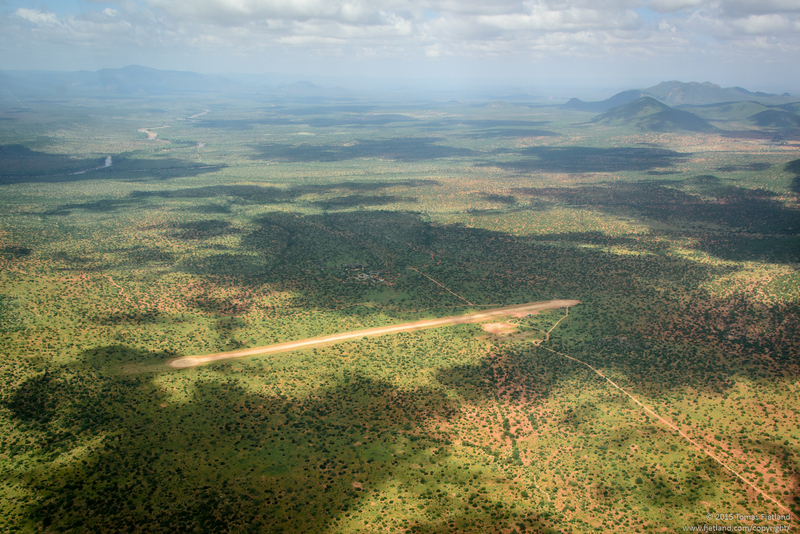 View of Samburu with the Oryx airstrip in the foreground and the Ewaso Ngiro river in the background. We land on schedule at the Kalama air strip around 10:20. Joshua from Larsens Camp is already waiting for us, so we unpack the essential camera gear and stuff the rest in the back of the Land Cruiser and get going. 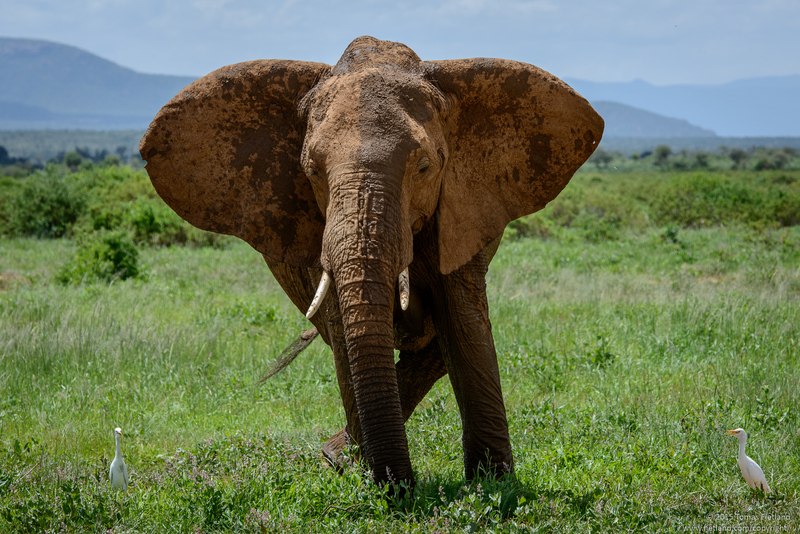 This is Kenya; if you make it off the airstrip without finding something exotic to shoot, it’s a slow day. Always have a camera ready! 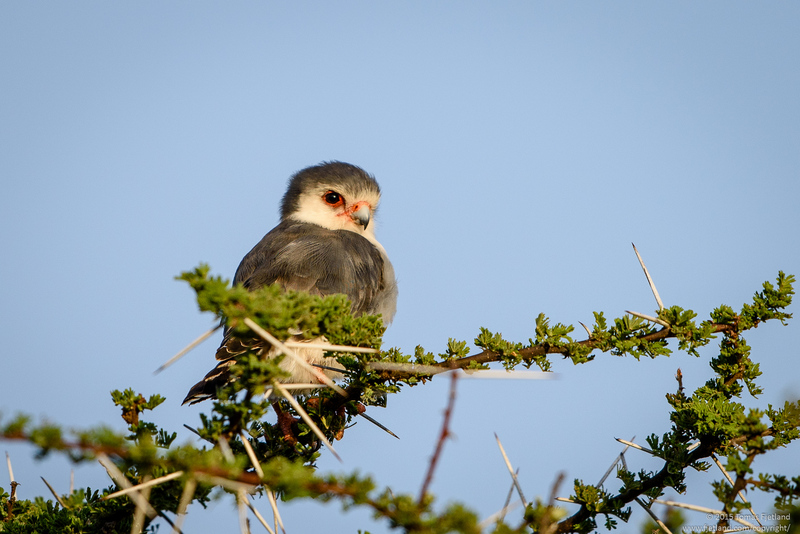 Joshua’s been guiding me on all my 3 visits to Samburu, and while he’s rather the quiet type, he knows the area very well and drives safely. As we make our way to the camp, we pass a variety of wildlife including a herd of zebras. 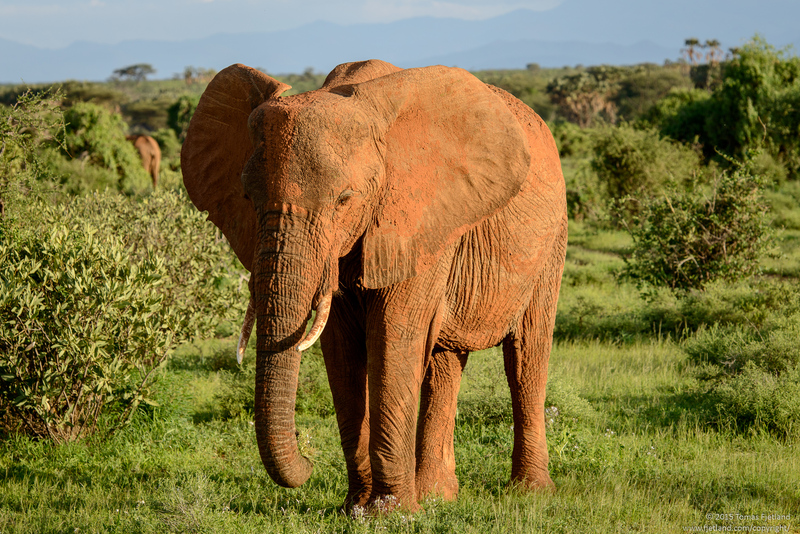 But the big difference I’m noticing is the number of elephants. 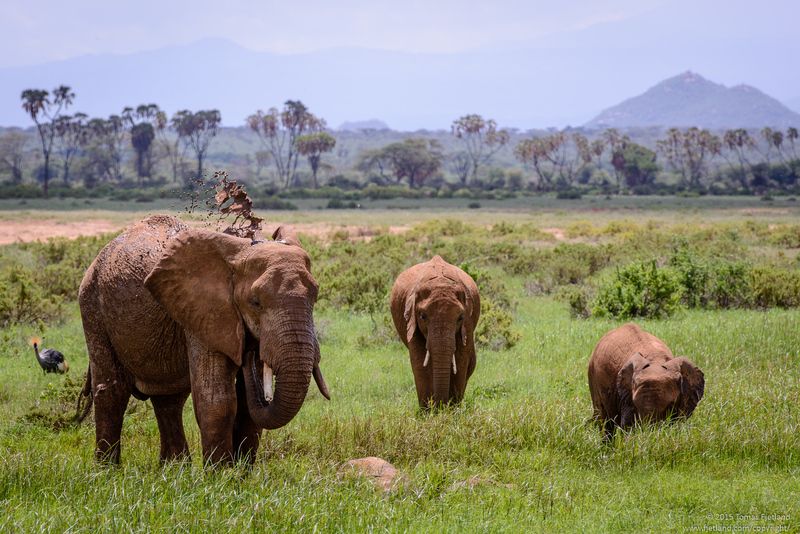 There’s small and large groups of elephants everywhere! Unfortunately by the time we reach the center of the park, it’s high noon, and right under the equator on a sunny day it’s not really possible to get good pics out of it. But here goes anyway. 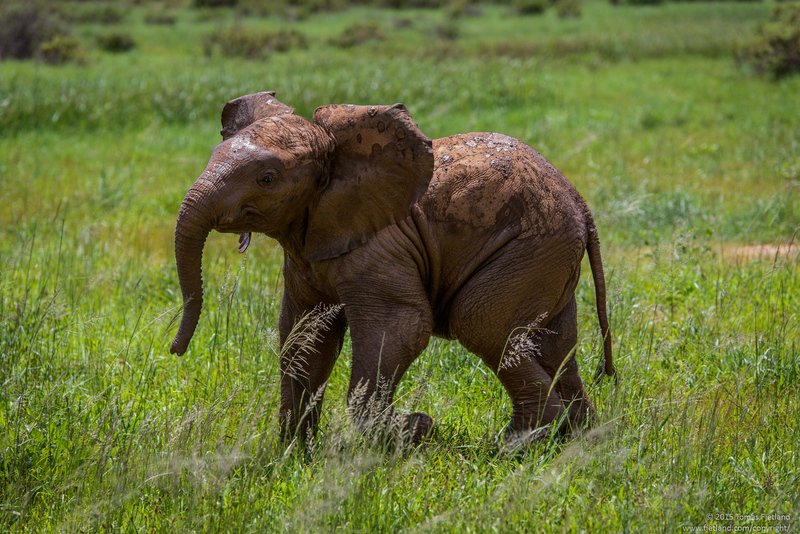 As long as food is plentiful, young elephants seem to have a fairly careless existance. A lot of time is spent playing. Once we arrive in camp we’re greeted in the usual warm way, and while the welcome drink is always welcome, the hot and damp washcloth for face and hands is an extra welcome touch. After the welcome briefing we’re shown to our tents and since we’re the only guests there the grounds aren’t exactly crowded with people. While it’s nice with some activity around the camp, and obviously vital to the people employed in the camps, from a purely selfish perspective it wasn’t all bad. Due to the cost of reserving sole use of a vehicle in Larsens Camp, we had taken a chance on not booking one but obviously got the 4×4 to ourselves anyway. 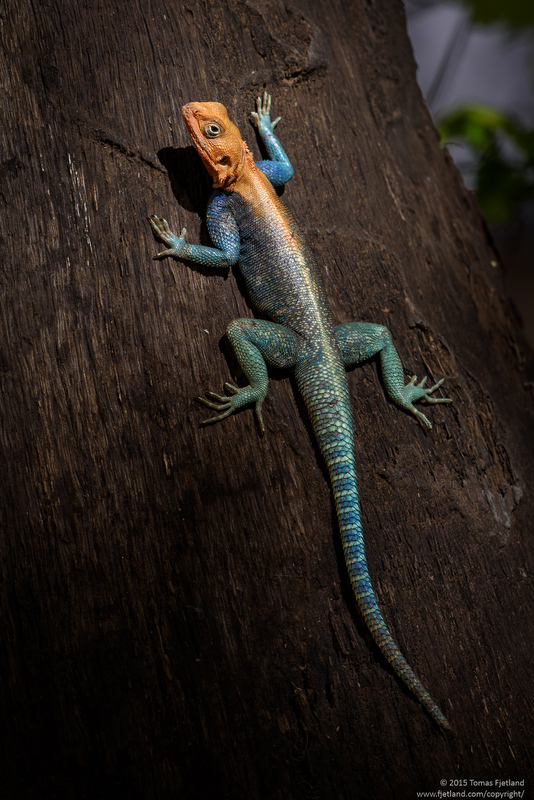 After lunch we look around the camp, and on a dark tree stump next to our tents we find some agamas in the nice dappled light under the tree canopy covering most of the camp. 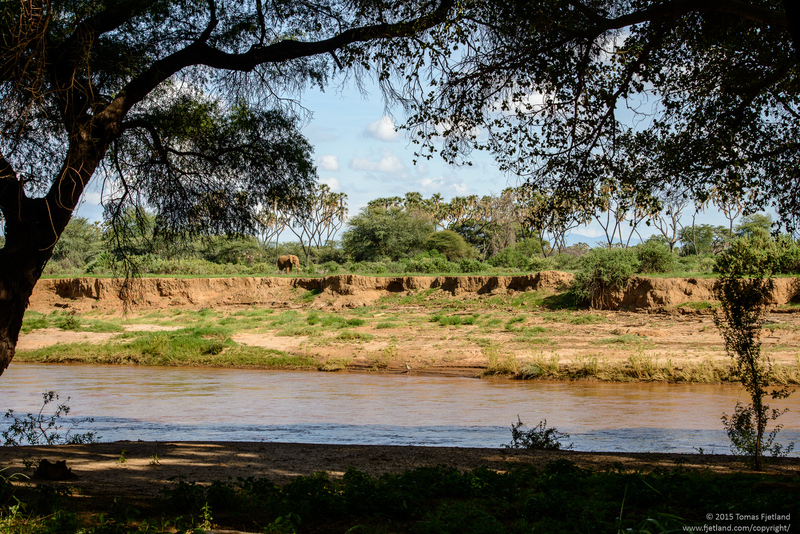 Even sitting in front of my tent after lunch I see elephants walking along the bank on the opposite side of the river. They truly are everywhere. 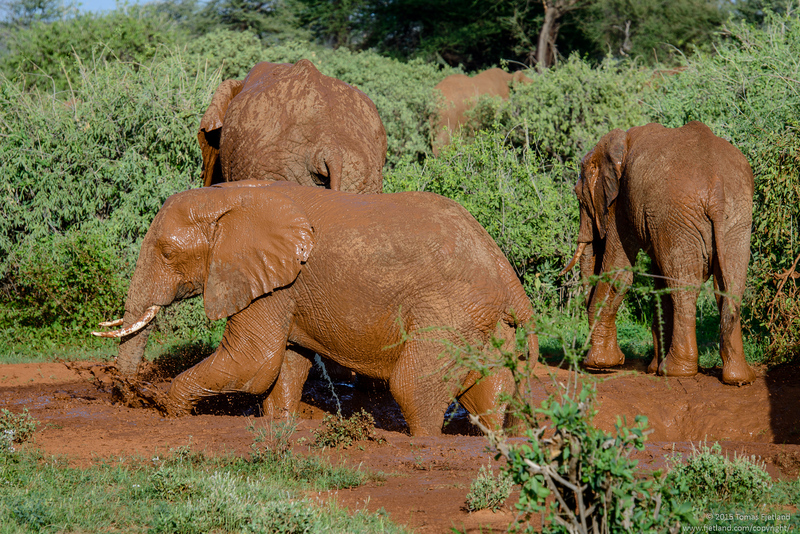 We head out again around 16 for the evening game drive. Weather is good, maybe a little too good for photography, and the light doesn’t really go soft until well after 17, less than an hour before sunset. 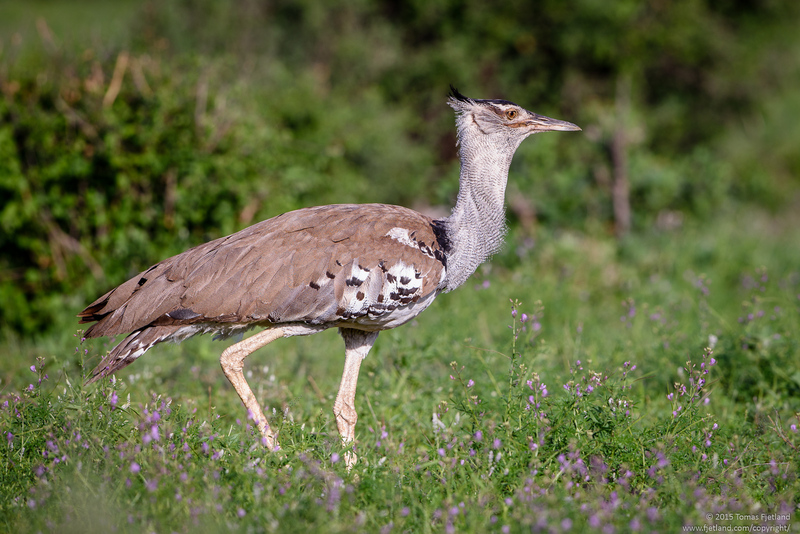 The Kori bustard is the largest flying bird native to Africa, and it might be the heaviest bird capable of flight. 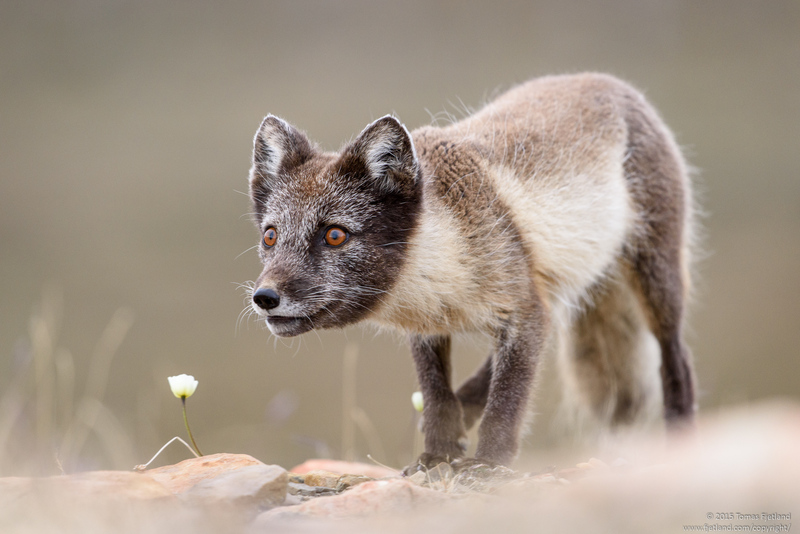 Like here, it spends most of its time looking for food on the ground, mostly insects. 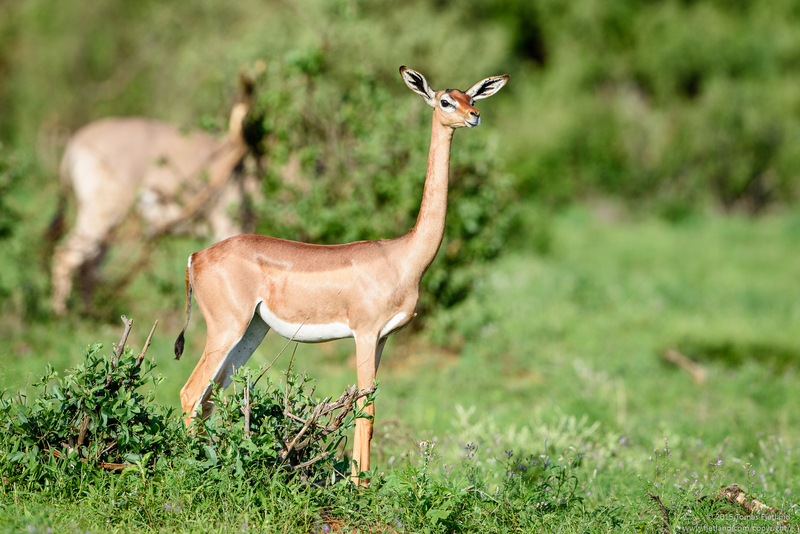 Gerenuks are unique among antelopes in that they can stand on their hind legs to reach leaves too high for other antelopes to eat. 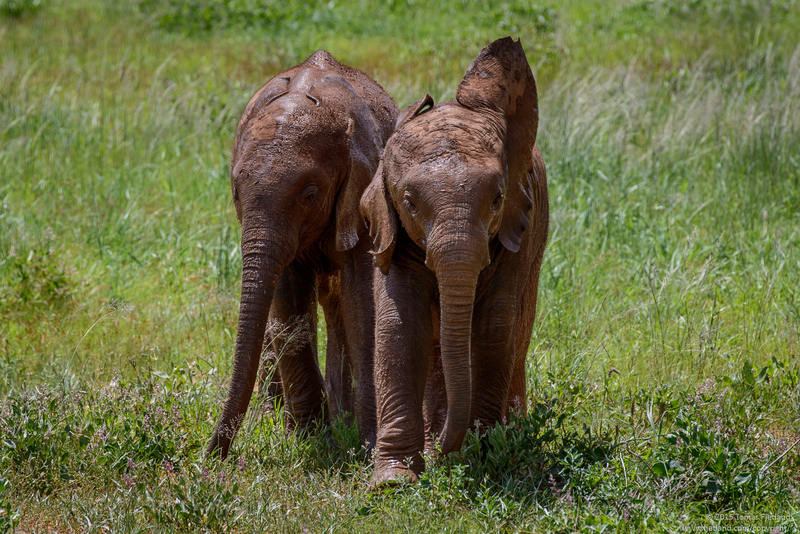 Combined with their very long neck, they are then in competition only with giraffes and elephants for food. Red elephant in the red light of the setting sun. Tried desaturating some. But you can’t really tell. 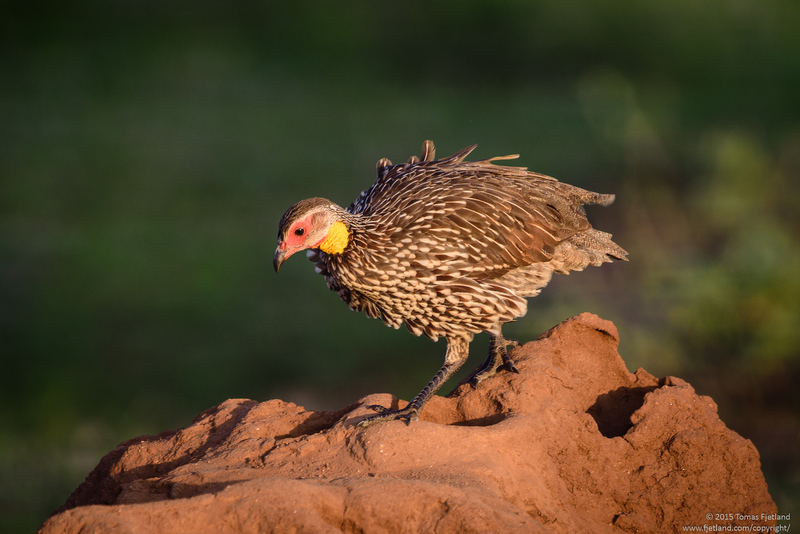 The yellow necked spurfowl will find the highest point it can easily get to, like this termite mound or a tree branch, and then sound its characteristic and very loud calls. 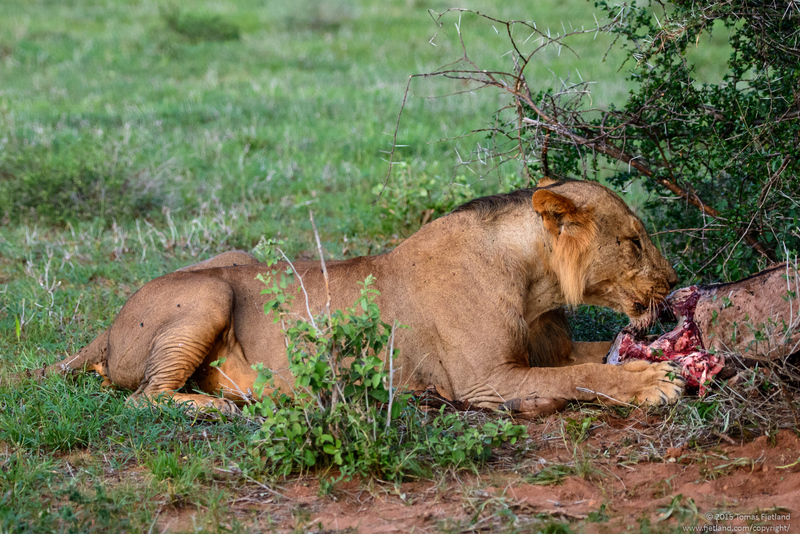 Male lion eating an oryx calf. At first I thought this was a young male due to his odd looking mane. But I was told by Joshua that this is how the male lions look in the area around Samburu. One theory is the generally hotter temperatures make a large mane impractical or even dangerous, so they adapted. 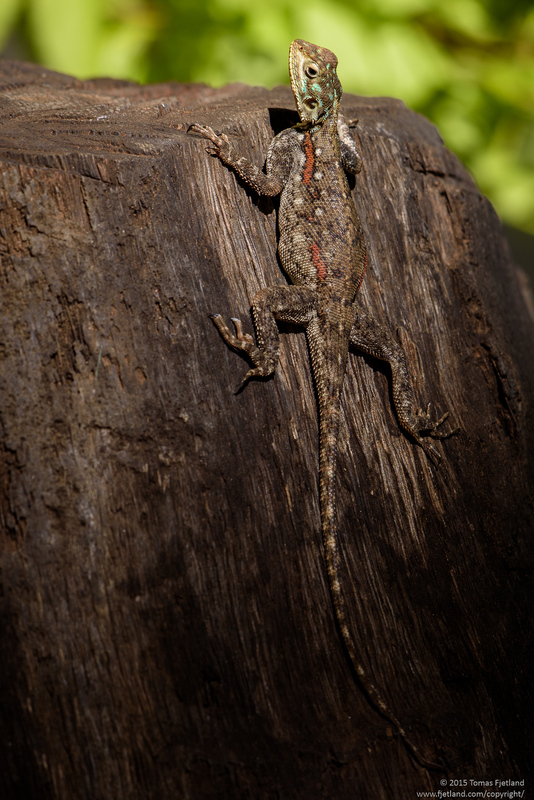 Side note: A prey left out in that heat for 24hrs does NOT smell good! When we return to camp after sunset, the staff had decided to offer fully personalized service to their only guests, and our dinner was served on the “porch” outside my tent. It was a nice touch. 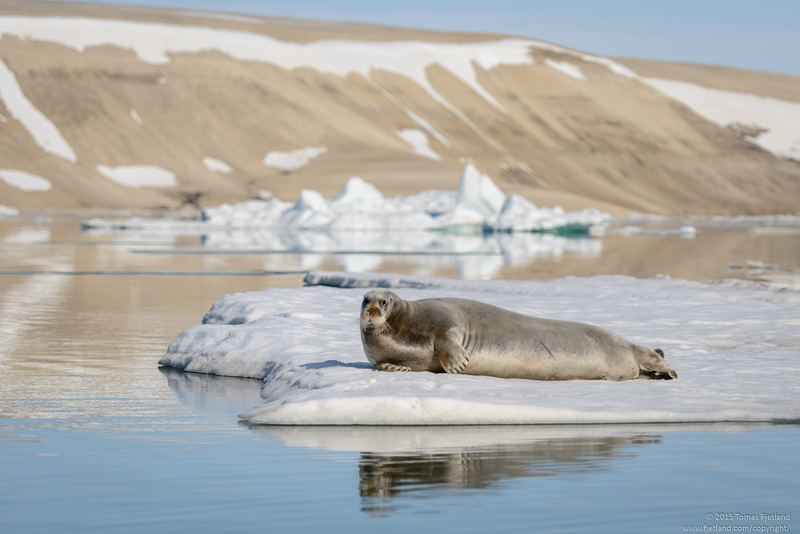 Svalbard 2015 – Day 1: To infinity… and beyond!